This page displays a list of our properties, which can be filtered by date, occupancy and by property type. To see full availability details for a particular property, click on the View Details button under its description. To see availability for all of our properties across a particular month, head to the Availability page. Fairwinds is an apartment block situated in a peaceful, central peninsula location and just a short walk to the beautiful blue flag beaches. 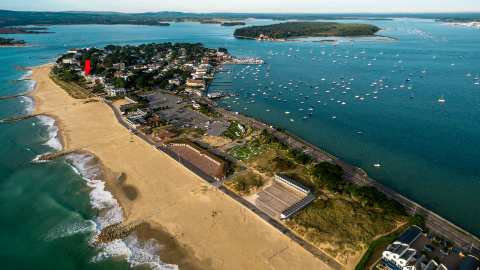 Beach Walk is situated on the famous Sandbanks peninsula and just a short walk from the beautiful blue flag beaches and the local amenties including cafes, restaurants and watersports. No 1 is a spacious and bright ground floor apartment with an enclosed balcony from the lounge. 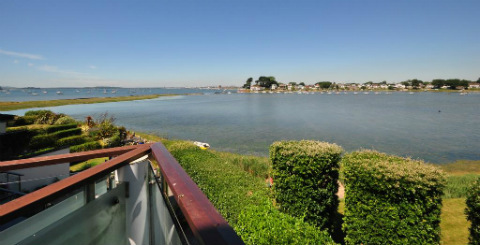 2 Beach Walk is a two bedroom ground floor flat in a modern block on Sandbanks peninsula. The master bedroom has a double bed and ensuite shower room, whilst the second bedroom has a bunk bed and separate single bed. Family bathroom with shower over bath. Sorry no pets. Parking. Enclosed patio. 3 Beach Walk is a ground floor flat accessed by a short flight of steps or a lift. Sleeps 6 in three bedrooms. Master superking with ensuite and two twin rooms. Family bathroom and WC. Parking. Short walk to the beach. Sorry no pets. 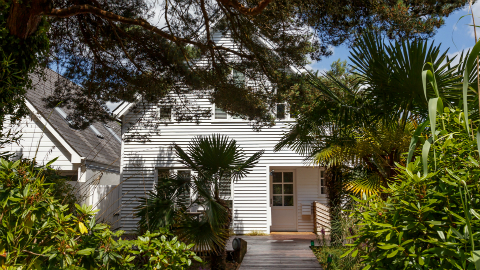 5 Beach Walk is a two bedroom first floor flat in a modern block on Sandbanks peninsula. Short stroll to the beach. Sleeps 4: master king with ensuite shower room and twin room, with family bathroom. Lift. Parking. Sorry no pets. 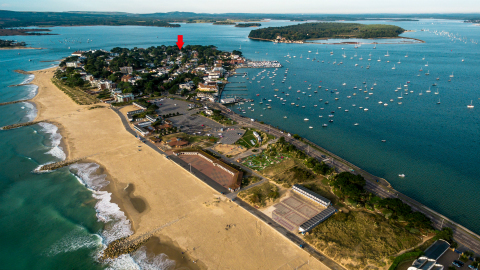 6 Beach Walk is a spacious first floor apartment on the Sandbanks peninsula. Sleeps 6 in three bedrooms: master double with ensuite shower room, a double and a twin bedded room. Family bathroom. Lift. Communal gardens. Parking. Sorry no pets. A five bedroom waterfront town house near Sandbanks which is a stylish and quirky space with fabulous sea views across Salterns Marina and the boatyard to one side and the Blue Lagoon on the other. Direct access to small private dog friendly beach. A five bedroom town house which is a stylish and quirky space with fabulous sea views across Salterns Marina and the boatyard to one side and the Blue Lagoon on the other. Direct access to small private dog friendly beach. Available on a weekly basis or as a long summer let for the whole of July or August. 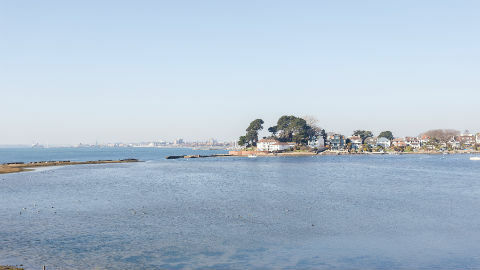 The Boathouse is a modern, well presented seaside New England style home, situated in the heart of Sandbanks peninsula. Sleeps 8 in 4 bedrooms: one double, one twin, one bunk room (single on top and double below), single room with pull out bed under. Ensuite bathroom to master and family bathroom. Garden and decked area. Parking for 3 cars. Pets welcome. 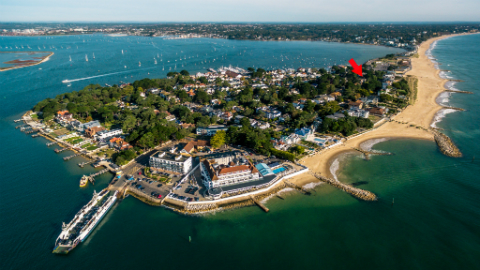 The Breakers is a traditional detached house with direct access to the beautiful beach at Sandbanks. Sleeps 7 in four bedrooms. 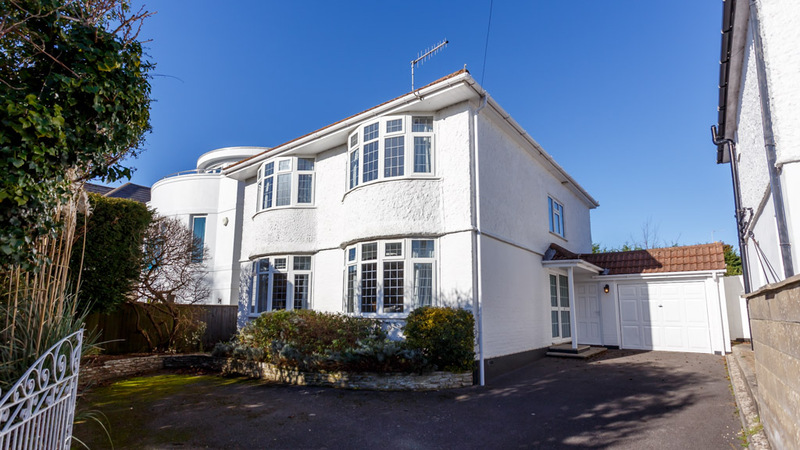 Large front and back garden with private parking on the driveway for up to 4 cars. 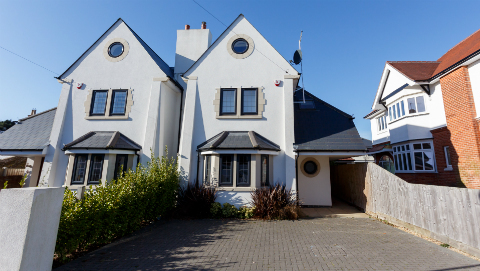 Broad Reach is a delightful, detached four bedroom home sleeping 9 on Sandbanks. The front of the house is gated and offers parking for four cars. Canford Chine is a modern semi-detached house in Canford Cliffs, close both to the village and the beach. Sleeps 8 in four bedrooms: king, double, and two twin rooms. Ensuite to master and three other bathrooms. Open plan living area and kitchen diner. Private enclosed courtyard with seating. Parking for two cars on driveway. Pets welcome.